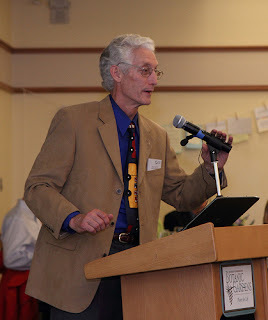 Editor’s Note: Dr. David Hall is a longtime, active member of Ground Zero Center for Nonviolent Action. Ground Zero has resisted the Trident nuclear weapon system for near 40 years. 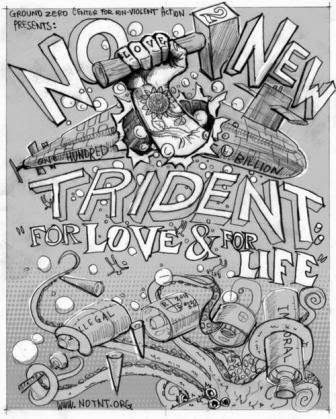 Hall has been a constant voice for abolishing Trident over the years, and continues to speak out against the government’s plans to build a new generation of ballistic missile submarines to replace the current Trident fleet. This guest commentary was first published in Saturday's Everett Herald newspaper. I am a psychiatrist who has served severely stressed children and families for decades while haunted by what I learned as an intern about the horrors of atomic bombs on Japan. Everything I work for and my father, uncles and grandfathers served for in the World Wars goes for nothing if we ever allow nuclear weapons to be used again. This is especially true now that these weapons are seven to 30 times more powerful, nuclear nations keep their launchers on hair-trigger alert, and the climatological threshold for nuclear famine is in the hundreds of nuclear weapons. There are still 15,000 weapons in nine arsenals. Global warming left unchecked will desicate some of us and drown others, making millions of refugees. Nuclear war could incinerate millions in a flash and starve out billions by blocking out the sun. The scientists with BAS are asking us to squarely face these potentialities. Current modernization plans for U.S. and Russian nuclear weapons come at a time when Russia is economically strapped while facing pressure on its western border, like the pressures America faced during the Cuban Missile Crisis with Soviet nuclear weapons 90 miles away. Planned for 2020 are twenty U.S. B61-12 nuclear dial-a-bombs ( delivering 0.3 to 340 kilotons of destruction) for deployment on German fighter bombers, and Russian nuclear-armed drone submarines capable of traveling 6,200 miles underwater to evade U.S. missile defenses. Most troubling to me locally is “modernization” (rebuilding) of the Trident nuclear submarine fleet that is based on Hood Canal. What's missing in the current conversation? 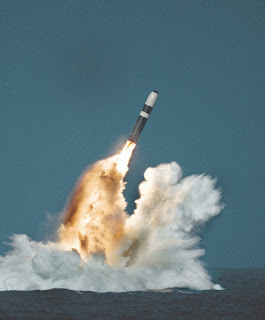 Each Trident warship is designed with the capacity to end civilized life on Earth. Each of the 12 new Tridents now planned for replacing the current fleet will be built to launch within minutes on presidential command 128 hydrogen bombs carried in packs of eight on 16 missiles with a 7,000 mile-range and pinpoint accuracy. The W-76 warhead is built to explode with 100,000 tons of dynamite equivalent (100 kilotons); the W-88 warhead, 455,000 tons (455 kilotons). The Hiroshima atomic bomb that killed outright about 100,000 human beings exploded with about 12 kilotons. That was an ugly time that we as a human community have fortunately managed to grow beyond. We no longer have Hitler, Hirohito, Stalin or Mao Tse-tung. Germany, Japan, Russia and China are vastly different countries. Germany and Japan are allies. Russia fought al Qaida with us in Afghanistan and is fighting ISIS. China is a major tradingpartner. 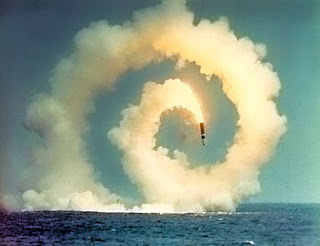 U.S. Rep. Rick Larsen, D-Washington, holds a key vote on rebuilding Trident and has yet to speak out. He's hearing “deterrence” from military contractors and military advisers who fail to tally U.S. provocations, but reap contracts returning 1,000 to 1 on their political investments. Our adversaries see us with ever expanding conventional and nuclear military capabilities. Nuclear weapons help them, not us, level the military playing field. America is fueling a new nuclear arms race. Trident warships are first-strike weapons of mass murder. Horrible idea, immoral jobs. We can (and must) do better. Mr. Larsen? David C. Hall, M.D., lives on Lopez Island and works in Anacortes. Past president of Physicians for Social Responsibility, he currently leads the state chapter's nuclear abolition task force.